We are delighted to be able to offer The Gardens, an elegant and beautifully presented substantial Georgian house. This is a truly exceptional house to use as a private family holiday home, being tastefully furnished with a great combination of style and comfort. This house is arguably one of the very best houses available for rent in Burnham Market with its generously proportioned reception rooms and five bedrooms, together with a large attractive fully enclosed private garden. It is conveniently situated with the advantage of off-street parking, within a few minutes walk from the village green with its excellent selection of independent shops, galleries and the renowned Hoste Arms. Kitchen: lovely spacious farmhouse style kitchen with original pamment tiled floor and hand-built cream painted units with granite work-tops, including a central island with bar-stools and double Belfast sink. The kitchen is extremely well-equipped and perfect for catering for large groups of family and friends, with plenty of crockery, glasses and serving dishes. There's an electric 4 oven Aga, integral dishwasher, fridge/freezer, coffee machine, coffee grinder and a microwave. From the kitchen there are glazed double doors which open directly into the dining room. Dining Room: light and airy garden room with stripped floorboards, sideboard with lamps and a long dining table with 10 chairs (may seat up to 12). Family/Games Room: a wonderful relaxed room accessed via an archway from the kitchen. This double length room has two distinct ends, having a TV sitting area at one end and a games area at the other end with a wood-burning stove. There are two large comfy sofas and two striped armchairs, a wall-mounted TV, Blu-ray DVD player and a selection of DVDs. There is a well-stocked games cupboard with a round table and 4 chairs. There is a high chair at the property which is available upon request. Study: with a desk and well-stocked bookshelves. Drawing Room: a beautifully presented room with a lovely bay window with window seat overlooking the gardens. There is a working open fireplace, large velvet sofa, two armchairs, sideboards, occasional lamps and bookshelves. Shower Room: has a walk-in shower with a large drencher head, hand basin, heated towel rail and toilet. Garden Room/Bedroom 4: a high ceilinged room with exposed beams which has a wood-burning stove and two sets of glazed double doors opening out to the garden. There is a king-sized bed, bedside tables and lamps, chest of drawers and TV. Please note that this room is next door to the laundry/shower room. Bedroom 5: a well-presented twin room at the front of the house with full-size single beds, bedside tables and lamps and a built-in wardrobe. The staircase is wide and not steep with a bannister, leading to the high ceilinged sweeping landing. There is a door off the landing leading to bedroom 1 and bathroom 1, making this a private bedroom suite if desired. All the bedrooms are generously proportioned and tastefully furnished, all with comfortable beds and high quality bedding. Bedroom 1: beautifully presented room with a king-size bed, bedside tables and lamps, ornamental fireplace, chest of drawers, two bedroom chairs, built-in wardrobe and a large mirror. Bathroom 1: a gorgeous bathroom with free-standing bath with mixer taps, heated towel rail, comfortable chair, built-in wardrobe, free-standing wardrobe, hand basin and toilet. Bedroom 2: another lovely spacious room, beautifully furnished with twin beds, bedside tables and lamps, chest of drawers, mirror and a wardrobe. 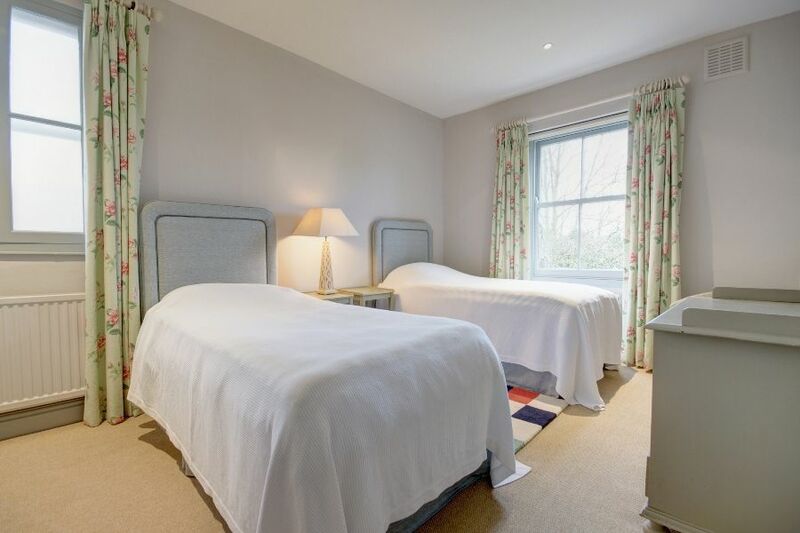 Bedroom 3: charming twin bedded room overlooking the garden with bedside tables and lamps, chest of drawers and wardrobe. Bathroom 2: a large room with a bath with shower mixer taps, hand basin, built-in cupboards and a toilet. There is private off-street parking for 3 cars at the side and rear of the house. Entry to the back garden is via a lockable wooden gate. 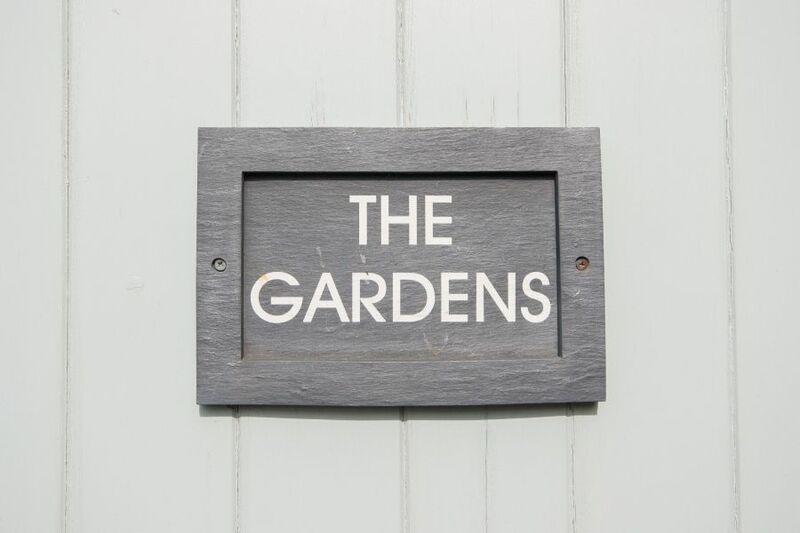 An outstanding private lawned garden which is fully enclosed and amongst one of the largest gardens in the centre of Burnham Market. It is well-maintained with a variety of shrubs and plants and plenty of space for children to play. There is an attractive terrace with garden furniture comfortably seating 10 guests, a gas barbecue, and a swing seat. 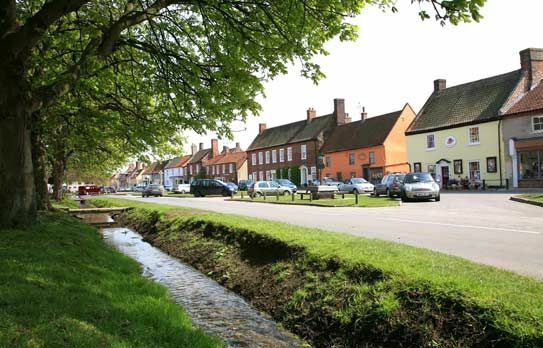 It is only a couple of minutes walk to the village green with its great selection of shops and places to eat. A lovely and welcoming house which has been beautifully decorated and is very welcoming. Fabulous furnishings, plenty of living space, felt like a home not a rental. Thank you for sharing this fabulous home with guests, it has huge personality and we loved it.